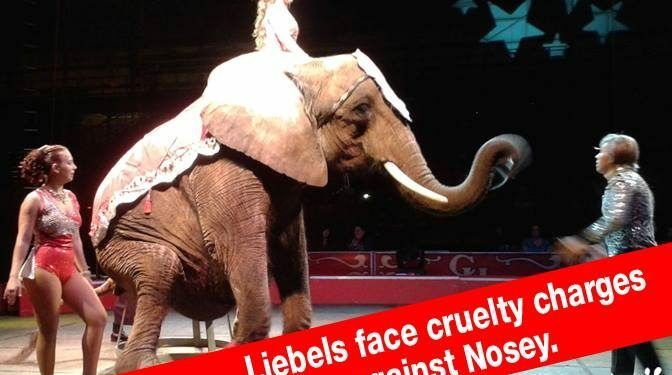 This week, Hugo and Franciszka Liebel pleaded “not guilty” to criminal animal cruelty charges related to Nosey, an elephant they used in their circus act for 30 years; a trial was set for April 10 in Lawrence County, Alabama. Earlier this year, an Alabama court removed Nosey from the Leibels’ care and custody, and placed her at The Elephant Sanctuary in Tennessee, citing neglect, abuse, and mistreatment; the Liebels have filed an appeal in the custody case. It’s time to end Nosey’s suffering. With your help, we have a chance to save them all.